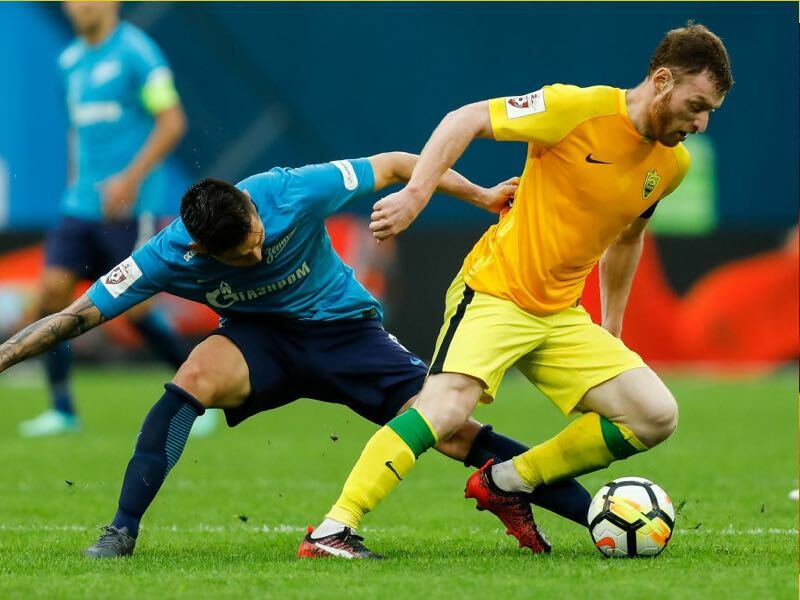 The World Cup has only been over for three weeks, and the newly rebranded Russian Premier Liga is just one matchday old, and the league might already lose their first club. Anzhi Makhachkala – a club that once invested hundreds of millions of dollars – is on the brink of bankruptcy once again. “[Anzhi’s] debt is indeed very large, and every day it is growing. Today it is more than 25 million rubles (€3.5 million)”, Anzhi’s general director Oleg Flegontov told Sports.ru on Monday. “Most of the players have not been paid since April. Some of those debts we have managed to close in May,” Flegontov added. As a result, of the debts, the club has already been forced to reduce the costs of the academy and the staff by 20%. More cuts could follow, and even deregistration from the Russian Premier League is an option at the moment. “We have not yet passed the point of no return. But at the same time, it is difficult to make predictions about the future of the club”, Flegontov said. The club is currently negotiating to find new sources of income. Club president Osman Gairbekovich Kadiev is in talks with larger commercial structures and has met with the Head of Government of the Republic of Dagestan Vladimir Ivanov. The Republic of Dagestan, in fact, was the nominal owner of the club until Suleiman Kerimov’s spectacular takeover in 2011. Kerimov then went on and spent more than €100 million in two years at the club. But by 2013 the story came to a close as Kerimov was involved in the Uralkali scandal and briefly on the Interpol wanted list after his potash company clashed with Belarus’ national interests. The scandal destroyed Kerimov’s political ambitions to become President of Dagestan, and as a result, Anzhi was no longer necessary as a political vehicle. Three years later, following the involvement of Armenian businesspeople and relegation to the second division the club was sold to Osman Kadiev. Under Kadiev the club was supposed to primarily focus on youth player development and become a stable mid-table club in the Russian Premier Liga. Instead, Anzhi predominantly fought against relegation since the takeover in December 2016. By the end of last season, Anzhi were, in fact, relegated. But Amkar Perm’s bankruptcy meant that Anzhi were saved and given a lifeline in the Russian Premier Liga. Now the club may disappear after all. “An amount of 300 million roubles to help the club was approved by the former leadership of the Republic”, Kadiev told Sports.ru Monday. 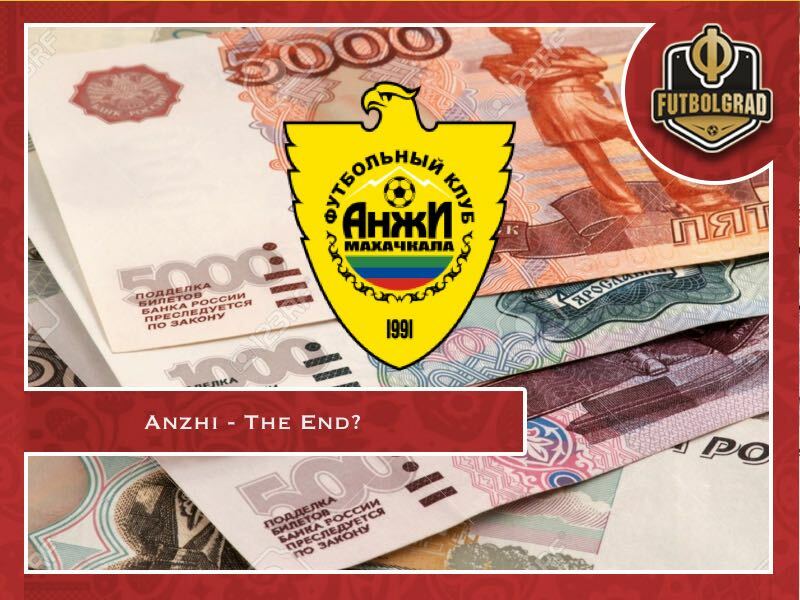 As a result, Anzhi sent a letter asking for more money – explaining that the club would not be able to continue should Anzhi not receive additional funding. “Civil society organisations should carry out its activities at the expense of founders, sponsors, commercial and other activities not prohibited by law. With that in mind it is not possible to find a solution to the problem”, was the response by the First Deputy Minister A. Islamov . Hence, there is now a real chance that Anzhi could now disappear from league play. There are, in fact, already rumours that the club does not have enough cash to make the away journey to Ufa, where the club is scheduled to play on Monday, August 8. Thus far it is not known yet what would happen to Anzhi’s spot. But the league might be forced to play the reminder of the season with just 15 clubs rather than the nominal 16 should Anzhi go bankrupt and withdraw.